Simon is an analyst at Relay Ventures, based in the Toronto office. As a member of the investments team, he works to create a data-centric foundation for Relay’s investment thesis. 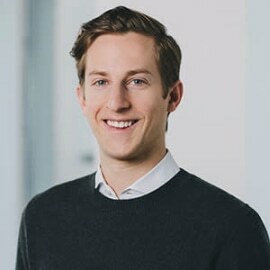 Prior to joining Relay Ventures, Simon worked on the investment banking team at Citibank with a focus on cross-border mergers and acquisitions. Previously, Simon held internships at both a portfolio company and with the fund. Simon holds an Honors Business Administration from the Ivey Business School at Western University. He was involved in the finance and asset management clubs at Ivey, while he co-founded a charity aimed at raising funds and awareness for Alzheimer’s.